Jim Boyd and I became acquainted in 1989 as we prepared to take part in a three-week tour of Southeast Asia as part of a delegation of editorial writers and editors. I learned we had a couple of things in common. One is that we spent time in Oregon, where I grew up and where Boyd attended college. Another is that we both are Vietnam War veterans, although Jim’s duty was much tougher than mine. He posted this item on Facebook. I want to share it here. Some of my Facebook friends speak of the pains they go to avoiding a discussion of politics on social media. I have a different view. I’ve seven years of university education and 30 years of professional experience in considering and writing about public policies and the politics that go into making them work. Plus, there are several dozen human beings I care about deeply whose future depends on good politics and good public policy. Begin with our five children and their terrific spouses and our 10 grandchildren. Then, looking back, add in about 50 guys from my army experience who were fed into the unjustified maw of destruction called Vietnam — a huge failure of public policy and politics that we repeated in Iraq. I owe them a continuing debt to live dutifully the life they did not get a chance to live. So to me, it is important to continue writing and discussing politics in a reasonable way, refusing to argue, respecting everyone’s right to an opinion (though not respecting all of those opinions equally) and not hesitating to point out “facts” that are fanciful partisan creations. I do understand that some will choose to block these posts. That’s fine. But I will continue making them. I’ve wrestled a bit, too, over the griping about politics on Facebook. Some of my own friends have complained about it. I’ve talked it over with some of my own friends privately. I’ve decided to keep using the medium to distribute my blog posts. I figure that’s a legitimate way to increase exposure to my blog, which I have declared to be a forum for politics and public policy discussion … as well as some personal stuff. I do get frustrated — and yes, angry — over the argumentative tone that develops from the posts. I chose in most cases to let the others have the last word. I don’t have the time, the patience of the intestinal fortitude to keep yammering back and forth. With that … thank you, Jim Boyd, for giving me a chance to spout off once again. Now … who will get my local paper’s endorsement? This just in … The Houston Chronicle has endorsed Hillary Rodham Clinton for the presidency of the United States. The Chronicle said in its editorial that it normally waits until the end of the campaign to make its recommendation. It backed Mitt Romney in 2012. This year, it’s different, according to the Chronicle. The paper’s editorial board has made up its mind. The nation needs a “steady hand” in “these unsettling times.” The hand doesn’t belong to Republican nominee Donald J. Trump. I don’t know why I should care, but I do wonder who will get the backing of my local newspaper, the Amarillo Globe-News, where I worked for nearly 18 years. I quit my job there at the end of August 2012. I have no contact with the AG-N’s editorial board, which comprises the publisher and its director of commentary. I can only offer an educated guess how they’ll go, given the paper’s history of backing Republicans for president — and given the paper’s corporate ownership, which has a visceral loathing of Hillary Clinton. My guess is that a lot of newspapers are going to weigh in early — and perhaps often — on this race. They’ll decide, perhaps as the Houston Chronicle has decided, that there’s no reason to wait. Whether they’re favoring Clinton or Trump, let’s get it out there on the record, they might surmise. As for the Amarillo Globe-News, they’re likely to preach to the proverbial choir by backing Trump, who’s likely to carry on the Republican tradition of capturing a majority of votes in Amarillo and the Texas Panhandle. The serious stunner would be if the G-N backs Clinton. Don’t look for hell to freeze over. My interest will lie in how the paper makes its case for Trump and how much of this individual’s record it will ignore. Campus-carry takes effect … very soon! Monday will be a big day in Texas. Fifty years ago, a gunman climbed to the top of the Texas Tower at the University of Texas campus in Austin and opened fire with his high-powered rifle. Sixteen people died that day before the cops got to the gunman and shot him dead . Aug. 1, 1966 is one of the state’s most infamous days. Texas is going to mark that date by allowing people to carry guns on college campuses. Ironic, yes? Tragically so? Yes again. It’s interesting to me — and to a lot of others — that educators oppose this notion. Only one private university is allowing guns on its campus; the rest of them have said “no thanks.” Public universities are required under the law to allow students to carry guns into classrooms. UT Chancellor William McRaven — the former Navy SEAL and special forces commander — is one of those who opposes campus-carry. But, what the hey? What does he know? I’ll stipulate that I have come to accept concealed-handgun-carry as a way of life in Texas. I don’t necessarily endorse it. 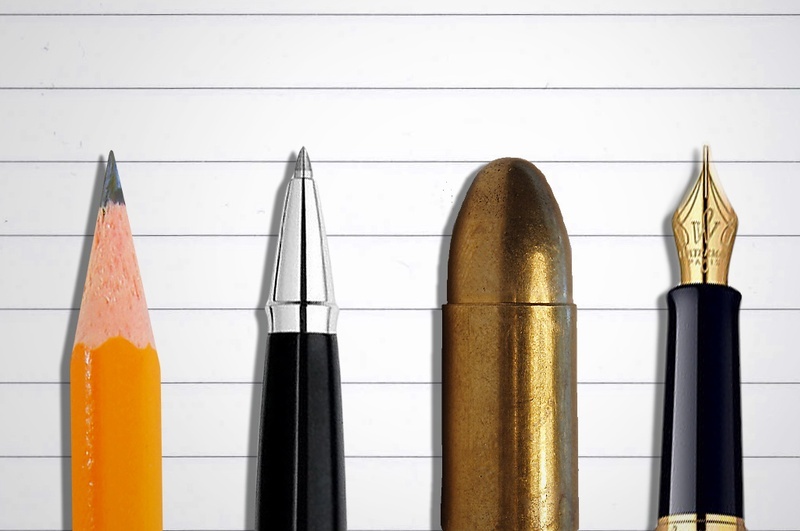 Allowing guns on campuses, though, does present a unique set of concerns. What if a professor hands out a failing grade to a student who, um, might have a short fuse that could be lit with a dose of bad news? Does that student then pose an extra threat to the prof if he’s packing heat under his jacket? Well, Texas is about to enter another era on its college and university campuses. I’m going to hope for the best. If only the state could have picked another date to allow guns on our campuses. Donald Trump’s list of disrespected opponents has grown by two. They are the parents of a fallen U.S. Army officer who was killed in combat in Afghanistan. They spoke at the Democratic National Convention this week against the Republican presidential nominee. Trump’s response was, well, typical Trump. The father of the soldier told Trump that he’d never “sacrificed.” Trump responded with a ridiculous retort about how he has built all those structures. Then he ridiculed the mother of the soldier. Why? Because she didn’t speak. Yes, the couple is Muslim, as was their heroic son. Some comments out there have asked about the “Have you no decency?” quotient. Have we reached that point as it regards this individual. * He has mocked a reporter with a severe physical disability. * He has made tasteless comments about a female journalist who asked him tough questions during a televised debate. * He has accused the Mexican government of “sending” criminals across the border into this country illegally. * He has mocked the heroic military service of a U.S. senator who served more than five years as a prisoner of war in North Vietnam. But in this year with all the “conventional rules” of decorum tossed into the crapper, Trump gets away with it. Does the Republican nominee have any decency? Donald J. Trump has criticized a U.S. senator’s heroic war record. He’s mocked a reporter with a serious physical handicap. 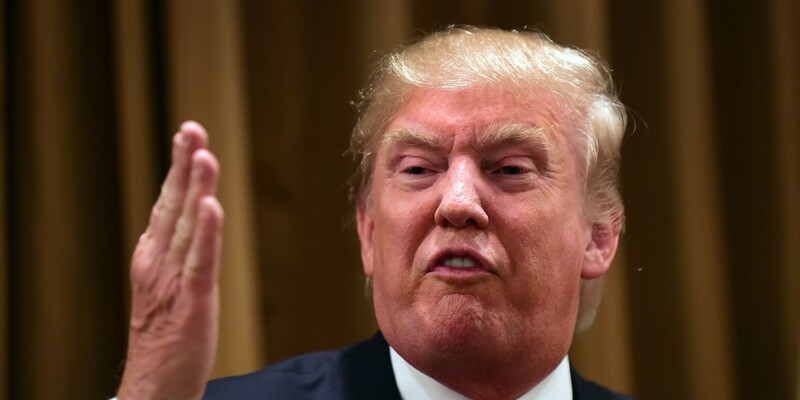 He has ridiculed women as “pigs,” said Mexican immigrants are rapists, drug dealers and murderers. Now he’s gone after a Gold Star Mother and her husband whose son was killed in combat in Afghanistan. And, oh by the way, the family in question is a Muslim family. Khazir Khan delivered remarks the other evening at the Democratic National Convention in which he said Trump had sacrificed nothing. Khan and his wife, Ghazala, sacrificed their son, a U.S. Army captain who died when a bomb exploded in 2004. How did Trump respond to this criticism? He said he’s “sacrificed a lot” by building structures and employing “tens of thousands” of people. Then the GOP presidential nominee decided to take on Ghazala Khan, who didn’t speak at the DNC, leaving that task to her husband. Trump said Mrs. Khan likely wasn’t allowed to speak, continuing his harangue against Muslim tradition that puts men at the forefront while keeping women in the background. Nothing is off limits to Trump. Nothing at all. The most stunning aspect of Trump’s response was his equating his construction projects to the sacrifice borne by the parents of young American heroes who give their full measure of devotion. This individual is simply un-bleeping-believable. CAPROCK CANYONS STATE PARK, Texas — What is wrong with this picture? It’s that empty water bottle someone must’ve tossed aside while walking along the Canyon Rim Trail. This might rank among the top three pet peeves of my life; the other two might be the sight of someone talking/texting while driving a motor vehicle and someone talking too loudly on a cell phone while sitting in a public place with other people who have zero interest in hearing about the person’s big-money business transaction. I have done my share of griping about Texas state government during my 30-plus years living here. The state too often seems run by partisan morons who cannot seem to get it into their thick skulls that they represent all Texans, not just those who voted for their election to whatever public office they hold. Texas government, though, does a lot of things right. One of them is the development and maintenance of its state park system. I’m telling you, the Texas Parks & Wildlife Department runs a first-rate state park network. Caprock Canyons State Park, just outside Quitaque, is one of the jewels. So, what did we see this afternoon while along the Canyon Rim Trail? That damn empty water bottle. Earlier in the day, my wife went through our campsite and police it of myriad articles of trash that others had tossed aside. They just couldn’t bring themselves to walk a short distance to the nearest Dumpster. The water bottle tossed along the rim of the canyon reminded me of a series of roadside signs my wife and I see as we drive southeast along U.S. 287. Just as you enter Estelline in Hall County, you cross a riverbed and the signs read, in order: Real Texans … don’t litter … Texas highways. Hmm. One might hope that “real human beings” wouldn’t want to litter one of Mother Nature’s true gifts to us … which looks like something like this. Donald J. Trump says he wishes his daughter Ivanka and Chelsea Clinton weren’t such good friends. That churning in my gut tells me he might get his wish before this presidential campaign ends. 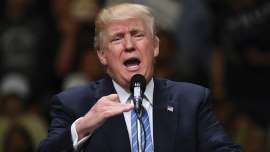 Trump, the Republican presidential nominee, says he plans to “take gloves off” as he campaigns against Democratic nominee Hillary Rodham Clinton. But what about Ivanka and Chelsea? And their husbands, for that matter? The in-laws of the two nominees happen to be friends, too. I’ve thought this might become one of the more interesting back stories of this campaign as Mom and Dad battle it out to see who voters will elect to become the next president of the United States of America. I don’t know too much about Ivanka Trump, other than what I’ve read recently about her, that she’s an intelligent and engaging young woman. As for Chelsea, well, we’ve all sort of watched her grow up before our eyes. She, too, is intelligent and engaging. My curiosity, though, might be drawn to whether she’s able to compartmentalize her relationships the way her parents so famously have been able to do. Bill Clinton got impeached by the House and was put on trial in the Senate, which acquitted him of the charges brought by House members. He was able to continue working through the rest of his presidency with the very men and women who voted to impeach and to convict him. Hillary Clinton then ran for the Senate in 2000, promising to reach across the aisle to work with Republicans who wanted her husband kicked out of office. Who became one of her best friends in the Senate? Republican John McCain, who was among those who voted to convict the president. 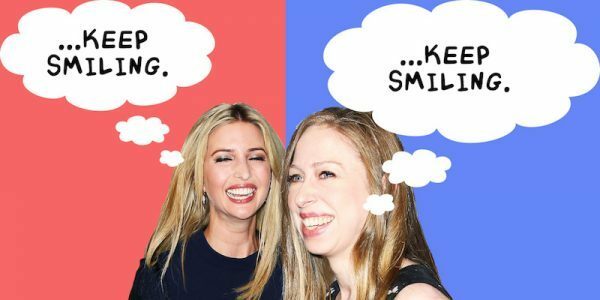 Did their daughter inherit that ability to put the nastiness aside to preserve her friendship with the daughter of a famously crass politician who’s shown quite an ability to say just about anything to and about his political foes? 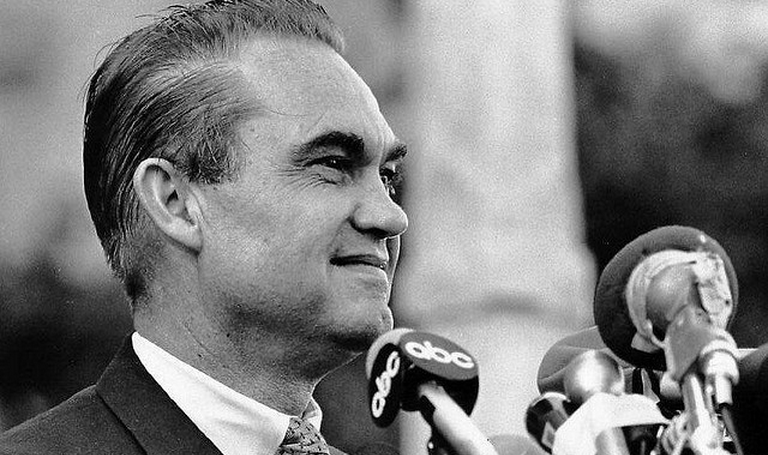 The late George Wallace once decided to run as an independent candidate for president because he said “there ain’t a dime’s worth of difference” between Democrats and Republicans. Suffice to say that the segregationist Alabama governor — who actually was a card-carrying Democrat — couldn’t make such a claim today. The Democrats have concluded their nominating convention one week after the Republicans concluded theirs. And, oh brother, is there a difference between the two major parties’ presidential nominees — Democrat Hillary Clinton and Republican Donald J. Trump. I guess I’ll start — and finish for the purposes of this post — with temperament. Trump’s temperament could be summed up in any number of hideous statements he has made for the past year. Let me single out just one, which he said today. The “con,” of course is Trump. So, what was Trump’s response to Bloomberg’s criticism? He called him “Little Mike,” poking fun at the ex-mayor’s shorter-than-Trump’s physical stature. There you have it. He cannot argue substantively about anything, so he is left to make ridiculous, petulant statements about someone’s physical attributes. This well might be the very thing we’ll hear from this individual for the next 100 days until Election Day. The campaign likely will far surpass the negativity of campaigns conducted during any living American’s memory. Pay attention, though, the quality of the retorts, rebuttals and rejoinders you’ll hear from Trump and Clinton. Yep. There’s far more than a dime separating these two candidates. CAPROCK CANYONS STATE PARK, Texas — The fictional Army colonel Sherman T. Potter used to exclaim “buffalo bagels!” when he suspected someone was feeding a line of baloney. Well, we ventured today where one can find plenty of such commodities. Caprock Canyons State Park is home to a large herd of American bison, bequeathed to the state of Texas by the heirs of the legendary J.A. Ranch. We came here once many years ago, not long after the bison took up residence at the state park. They were penned in and, frankly, were a bit hard to see from the road. These days they have the run of the park. I’ve heard from state park officials over the years that the herd is doing well. We saw several dozen of the beasts as we drove through the park. A cluster of bison greeted us — more or less — as we entered the state park after driving here from Amarillo. We were certain to look at the signage near the park entrance. They warned us that the animals are “wild,” and that one shouldn’t approach or surround them. I guess the beasts get a bit spooked, so who am I face down an animal as ornery and strong as that? Caprock Canyons State Park happens to one of those Texas Panhandle treasures one doesn’t hear that much about. When we in Amarillo talk about the sights to see in our part of the world, we usually refer to that other canyon, Palo Duro, which we call Texas’s version of the Grand Canyon. So are the cliffs and draws that give Caprock Canyons State Park that special charm. Indiana Gov. 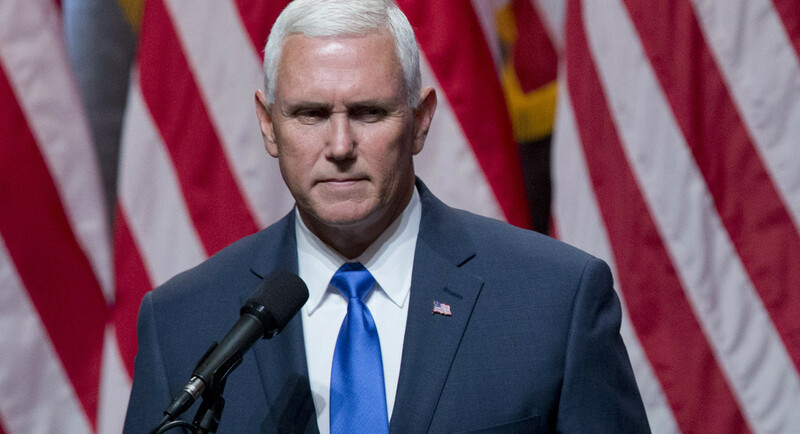 Mike Pence might need to consult with his running mate, Donald J. Trump, if he hopes to gain some relevance in the campaign for the White House. Pence, who’s running as VP with Trump on the Republican ticket, said that “name-calling has no place” in politics. No kidding. He actually said that. Gov. Pence is correct. Trump, the GOP presidential nominee, has won his party’s nomination by deploying a series of epithets and innuendo against his opponents. He’s sprayed more than his share of names while attacking his foes. Lyin’ Ted, Little Marco, Low Energy Jeb come to mind. Now it’s Crooked Hillary. Will the vice-presidential nominee be able to talk some sense into the man at the top of the GOP ticket? I don’t know about you, but I am not holding my breath for Trump to discover a shred of decency.